The success of Japanese whisky today in the global market is largely down to two individuals who pioneered whisky distilleries in Japan in the 1920s after others initially imported spirits in the 1870s. Let us introduce Shinjiro Torii and Masataka Taketsuru, two inspired individuals who later went on to found two of the whisky powerhouses in Japan. Shinjiro Torii started by importing western spirits and liquor, but unsatisfied with the quality of the products, Torii set up his own distillery. The Kotobukiya brand (later renamed Suntory) was born with one of the leading Japanese whisky distilleries today located in Yamazaki. Masataka Taketsuru meanwhile took his own path in the Japanese whisky sector. Originating from a sake family, Taketsuru travelled to Glasgow and while studying there, took an apprenticeship at a Scottish distillery in 1919. On his return to Japan in 1920, Torii and Taketsuru would cross paths with Taketsuru working at Kotobukiya where the two would collaborate in the further development of the Japanese whisky industry. Fast forward to 1934 and Taketsuru leaves to establish his own distillery – initially named Dai Nippon Kaju K.K., this company and its distillery in Yoichi went on to become Nikka. Nikka and Suntory were here to stay and over the next half century the brands honed their skills and expanded the market to introduce award winning Japanese whiskies. 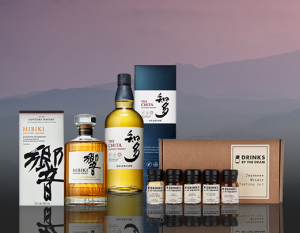 Nikka and Suntory grew stronger, refined their processes and helped promote the popularity of whisky in Japan in the post-war decades and today they are proud owners of internationally acclaimed whiskies. 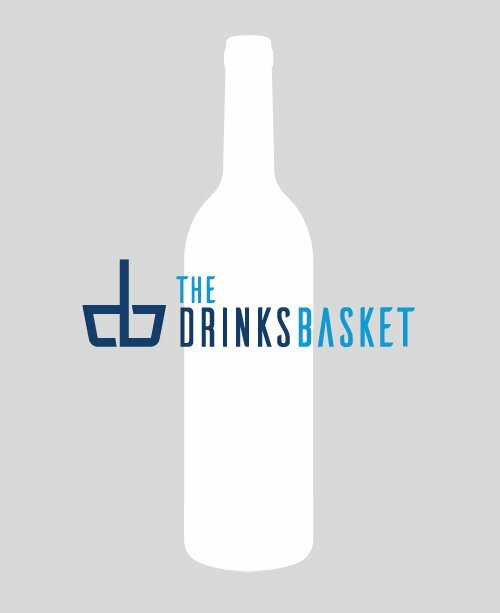 At The Drinks Basket we are particular fans of all things related to Japanese whisky. While Japanese whisky originally received some scepticism from the international panels – bordering on outright snobbiness at the thought of whisky being produced outside Scotland – the distilleries have improved their techniques and blends beyond recognition. In Nikka’s case and arguably equally for Suntory, it has been the attention to detail, the quality of ingredients and the ever so important purity of water and ingredients that has made the Japanese whisky what it is today. 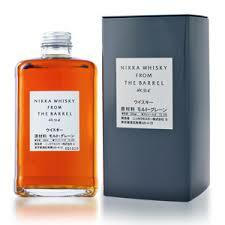 Nikka Whisky from The Barrel – distilled from mature malt and grain whisky with a full body and delicate notes of vanilla, toasted coffee and caramel. 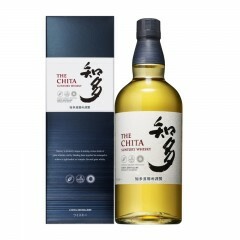 Suntory Chita Whisky – a single grain Japanese whisky, pale in colour but packed with flavour and subtle aromatic hints.